An ancient puzzle box. Fourteen letters. A Council of Whispers. …and a clerk. 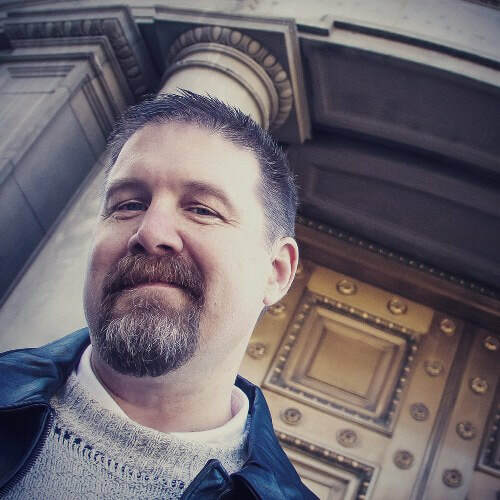 Jaime Buckley is an Author of YA Fantasy, a Professional illustrator & father of 12. He’s earned the titles of Author, Illustrator, Cartoonist, Game Designer, Dragon Lord, King Maker, Monster Hunter, Sliver Slayer, Trainer of Heroes, Breaker of Bridges, Smoker of Meats, Sucker of Slurpees, World Builder and Elf Friend(ish). He’s also been known as Dad, Daddy, Poppa, Papa Bear, Grandpa, ‘sweetie’ and ‘Heya Gorgeous’ (though that last title is used solely by his wife). Jaime currently holds Bob’s Book of World Records for sucking 42 raspberry Jell-O cubes through a straw in 90 seconds…and continues to defend his Clockworks record for back to back arm wrestling wins (97.8 gnomes). He’s always wanted to be a member of the Green Lantern Corps, but they rejected his application. Aside from marrying his darling wife and being a father to 12 very cool (and properly raised) children, Wanted Hero and Worldbuilding Inc are his favorite projects to date.